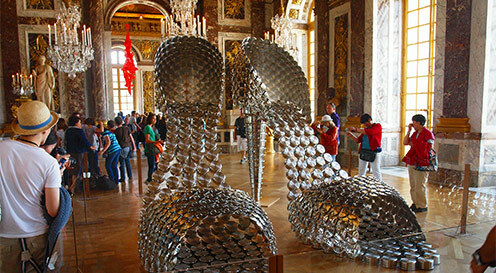 For anyone who is into art, Versailles is not to be missed. 700 lavishly decorated rooms are filled with fine and decorative art spanning the styles of late baroque, rococo and neo-classicism. From the outset, the intention with the place was quite simply to built the epitome of majestic splendour. The plan worked and it is no wonder, then, that the palace has served as inspiration for numerous other royal residences including Sanssouci in Potsdam and Belvedere in Vienna. Versailles was the home of Sun king Louis the 14th, his family and court. In all their self-indulgent opulence, they either were – or acted – proudly indifferent to the abject poverty in France in their age. It would not be unkind to say that the royal reality was a little out of synch with the reality outside Versailles. Upon hearing about civil unrest and uprising due to shortage of affordable bread, Madame Antoinette purportedly said ‘well let them eat cake, then’. But that was just a start. The king had adopted the Sun as a symbol of his omnipotent power, and the gilded sun is plastered all over Versailles in a manner that would pale the brand recognition efforts of today’s top brands in significance. The entire French court kept growing and soon counted 20,000 permanent members of staff who were either on site or in the vicinity. To the left and the right of the main gates are towns which used to accommodate the large bloated court. There were times when the temporary staff count reached record levels. 35,000 workers prepared the large gardens that now is part of the 800ha park complex with no expenses spared. In a period when crops failed due to water shortages, the park received its own canal replete with miniature battleships. To fill the canal and 2.500 fountains including one of the largest fountains in the world, the appetite for water insatiable. Every drop from the surrounding area was soon diverted to the park. Royal Engineered grappled for years with the problem and even explored how to divert the Seine 5 miles closer. By 1689 the king had managed to relocate the entire government and a substantial part of French nobility to Versailles to keep everything together. The rationale was straight forward: L’Etat c’est moi” or “I am the state” the king proclaimed in modest recognition of being a self-appointed deity of all-consuming narcissism. Inherited from his father, the modest-sized country residence of Versailles was transformed into a city-state of megalomaniac scale by the Sun King. To this end, he enlisted the help of architect Louis Le Vau, painter and decorator Charles Le Brun, painter and landscape architect and Andre Le Notre. 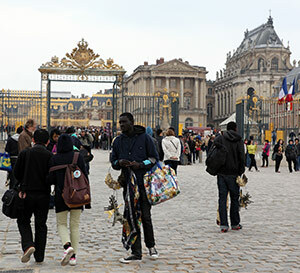 Much of what the French consider the signature style of Versailles turns out to be the work of Charles le Brun who won the King’s favour through a finance minister. 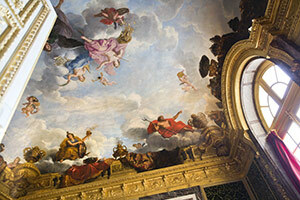 Le Brun orchestrated much of the interior design, commissioned art and ordered furniture. He is the architect of the famous Great Hall of Mirrors. In the same way that the Spanish King had his life-time appointed portraitist Velasquez, The French king patronised Jaques David. In much the same way, Madame Antoinette, the queen, had her personal portraitist working for her. The painter Elisabeth Vigée-Lebrun who painted thirty portraits of her patroness. Versailles continued to have a prominent role to play after the fall and unpleasant death of the King and Queen. The palace entered a new era when it was owned by the people and state of France. Emperor Napolèon Bonaparte displayed much interest in the Palace and it goes some way to explaining The First Empire Rooms (Les salles Premier Empire).These are displays of French grandeur in its exquisitely detailed and emotionally-charged propaganda. A series of high-calibre academy paintings are depicting key figures in French history, military victories and battle scenes. Depictions of Emperor Napolèon Bonaparte seem to have monopolised the walls somewhat. This collection of neoclassical salon art comprises of several pieces which people recognise immediately. Take for instance Jacques-Louis David’s, Napoleon Crossing the Alps or ‘Bonaparte at the St Bernard Pass’ completed in 1801. To cut a long story short, the palace still serves well at official state ceremonies when entertaining visiting foreign dignitaries. It’s primary purpose, however, is that of being a Museum of The History of France. 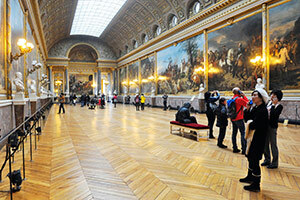 To the rest of us, Versailles represents one of the major tourist attractions in Europe. As such it is one of the most pristinely restored and maintained palaces chronicling several chapters in the history of art. Increasingly, the palace is welcoming modern and contemporary art exhibitions such as blockbuster solo-exhibitions by Jeff Koons. 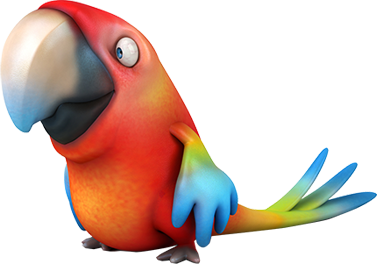 As with all famous tourist attractions, there are queues you can combat effectively with some foresight and online booking. The online and mobile information available to the public is also impressive as is the partnership with Google’s to bring the art in front of our eyeballs. Besides that, there are several entertaining ways that you can be relieved of your hard earned cash to support the preservation of the place and feed local businesses.There is everything on offer from art and history books to fashion, merchandise bling and useless must-haves. As an example, the in-house Delicatessen offers peculiarly faux-aristocratic delicacies. Like ‘whole duck foie gras’ which reads the entire poultry including beak and feathers, no doubt Presumably that is cheaper to produce than just concentrating on obesity-ill liver from a larger sample of force-fed winged respondents.